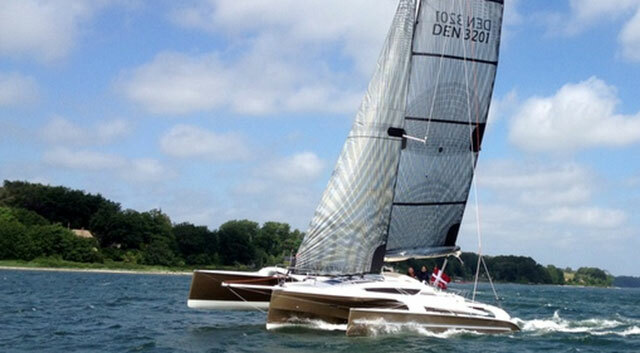 Dieter Loibner takes a close-up look at the Dragonfly 25 – a performance cruising trimaran. 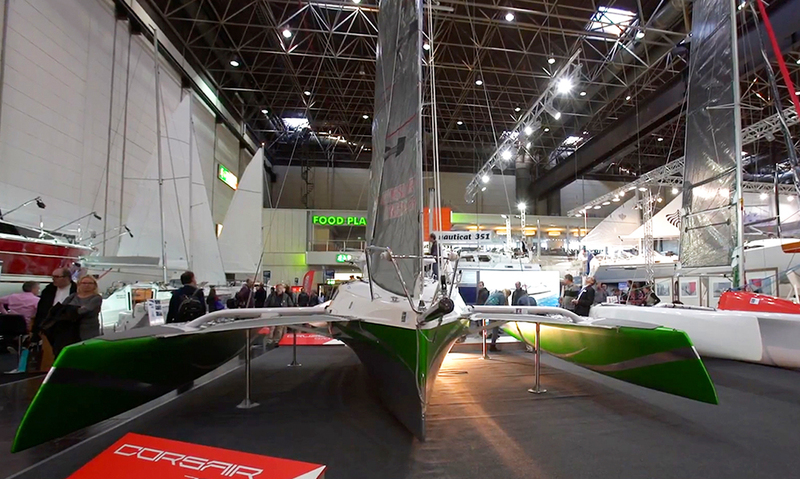 Performance sailing is near the top of the list of requirements for the average Dragonfly trimaran owner, and the latest (and smallest) model from this Danish builder – the Dragonfly 25 – is no exception, as Dieter Loibner reports in this First Look Video filmed at Dusseldorf Boat Show. 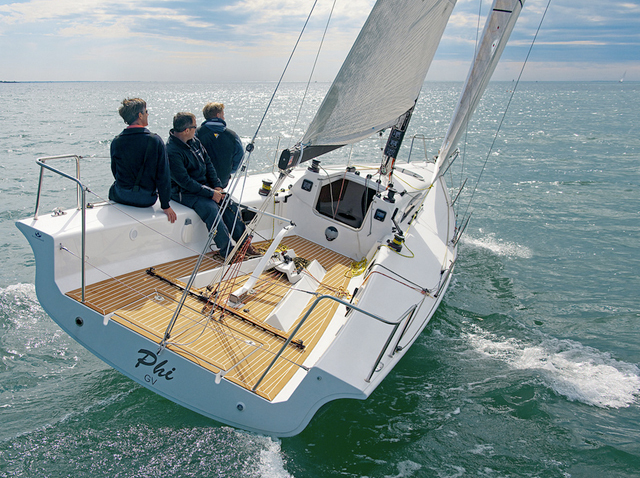 The outer hulls (known as amas) are designed to pierce the waves with their 'reverse axe' bow design, plus there is plenty of buoyancy built in to permit the skipper to enjoy the boat's full speed range in relative safety. 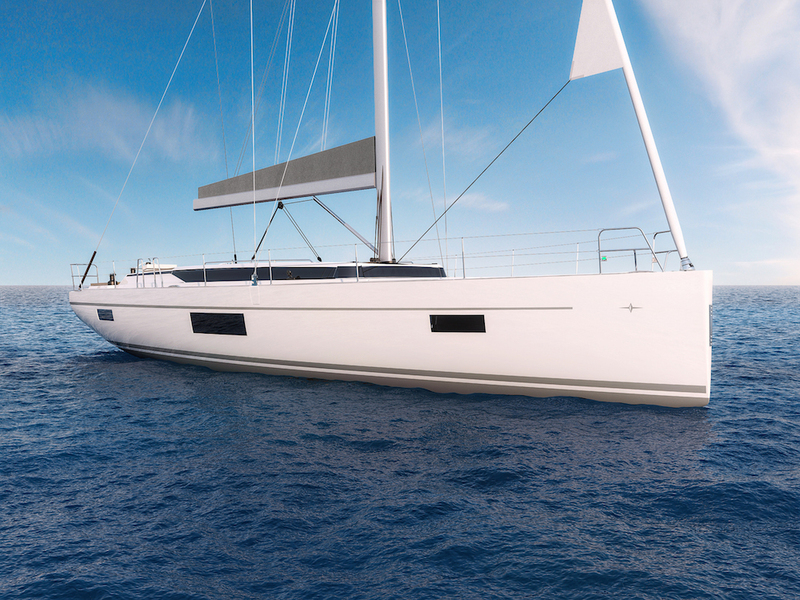 The extendable bowsprit will power the boat downwind at a usefully low angle, while the rotating mast adds extra power to the already high-performing rig. 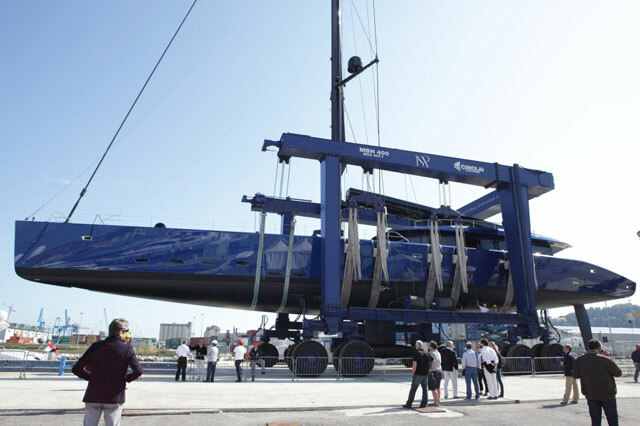 The twin rudders (one on each ama) are adjustable in terms of draught, as well as being angled outwards, as the boat is designed to sail on a single hull. There is a kick-up mechanism in case of a collision with an underwater obstacle. 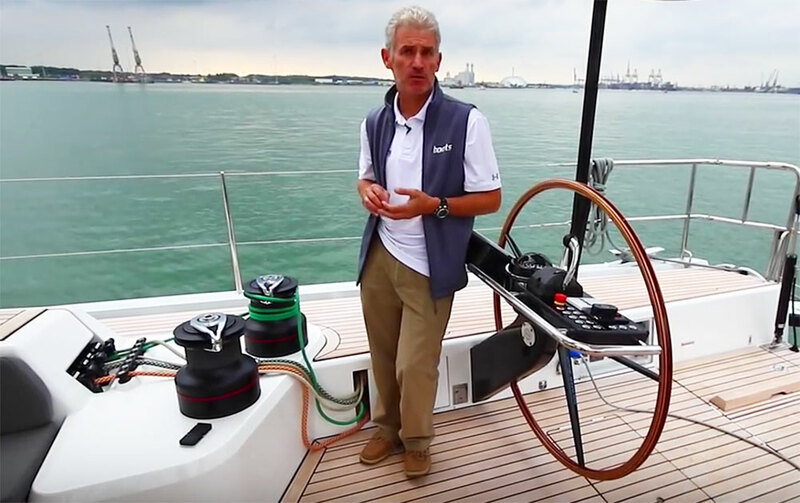 The sport version is tiller-steered while the standard version can be fitted with a wheel. 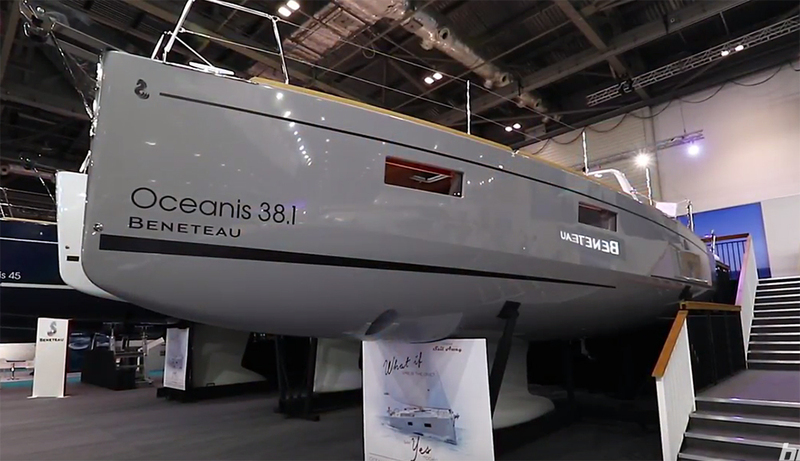 The rotating centreboard can also be controlled from the cockpit and is positioned slightly off-centre to create reduce the cabin space required for the housing. 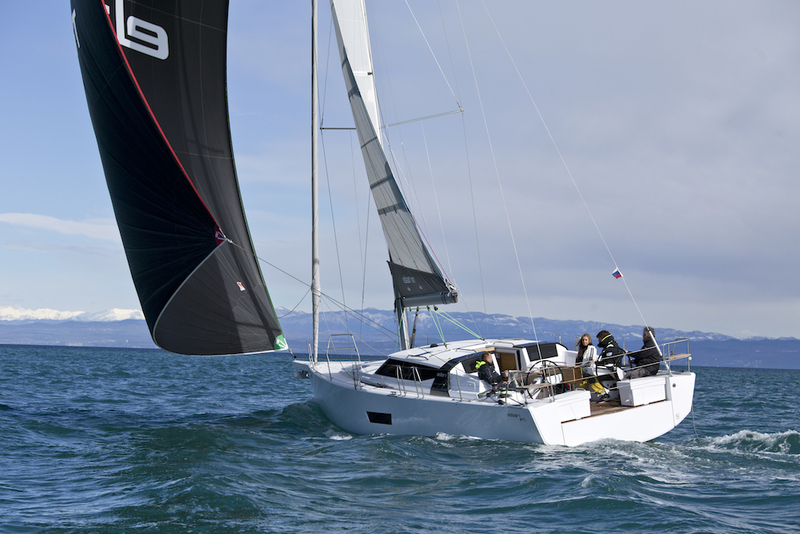 Compare our Dragonfly 25 video with the boats.com Dragonfly 32 review or perhaps the much grander cruising multihull, the Discovery 50.